We have three houses and two canvas cottages available for rent, and although there may be other guests onsite each one is a private rental. Let us know if you need help picking the accommodations that are right for you. 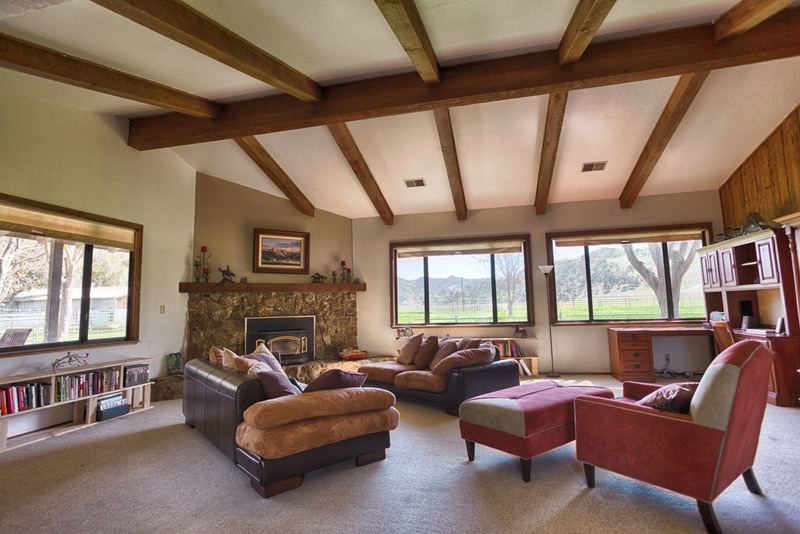 Beautiful 2,800sq/ft hilltop home, private location, 3bd/2ba sits on a 660 acre working ranch, beautiful rolling hills, creeks, and wide open fields. Open floor plan, epic views, and fully furnished. Both the master bedroom and the second bedroom have a king size bed, the loft upstairs has 1 queen bed and 4 twin beds. Amenities include: gas BBQ, air/heat, landline, washer/dryer, indoor fireplace, strong wi-fi, standard kitchen, coffee maker. The nightly rate includes the first 6 guests, each guest thereafter is $50/night (ages 3+). Price does not include horseback riding or shooting. All reservations require a two-night minimum plus a $250 cleaning fee. "This was, hands down, the best rental experience that I or any of my friends have had." 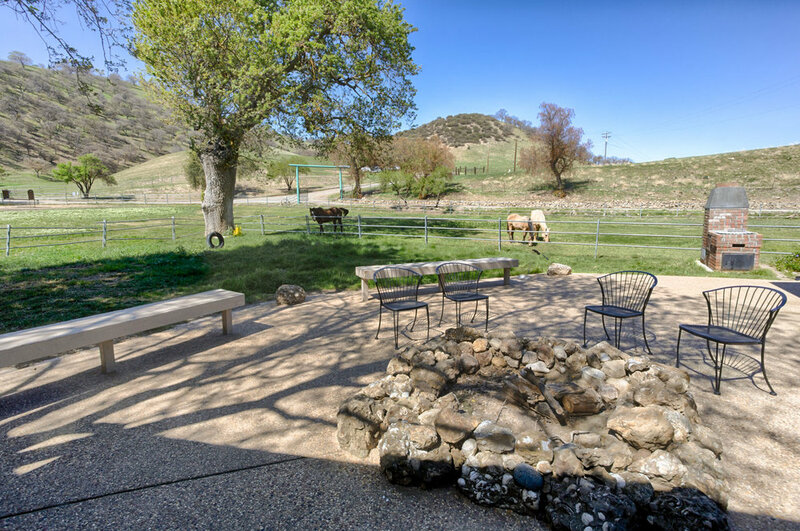 Beautiful 3,100sq/ft ranch home set within a horse pasture, 3bd/2ba located on a 660 acre working ranch, beautiful rolling hills, creeks, and wide open fields. Open floor plan, country feel, and fully furnished. 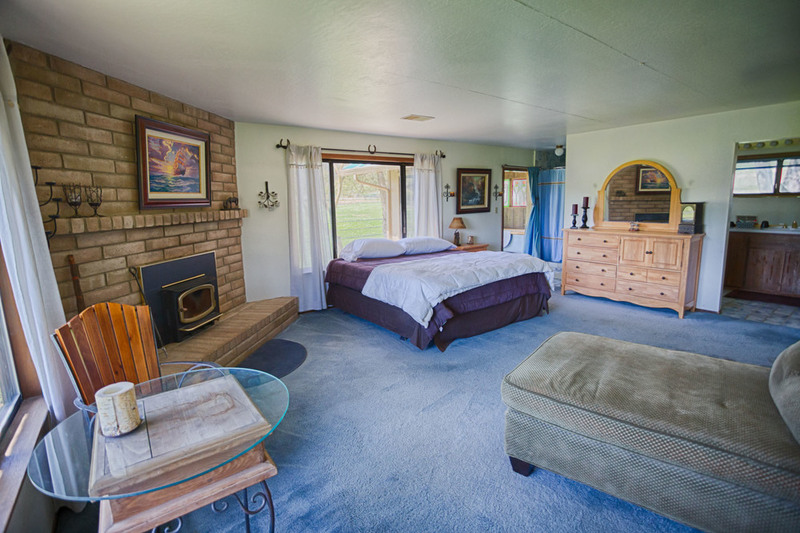 Both the master bedroom and the second bedroom have a king size bed, the third bedroom has 1 queen bed and 4 twin beds. Amenities include: gas BBQ, air/heat, landline, washer/dryer, indoor fireplace, strong wi-fi, standard kitchen, coffee maker. "Truly a place that allows you to escape the everyday and just relax and be present with your loved ones." 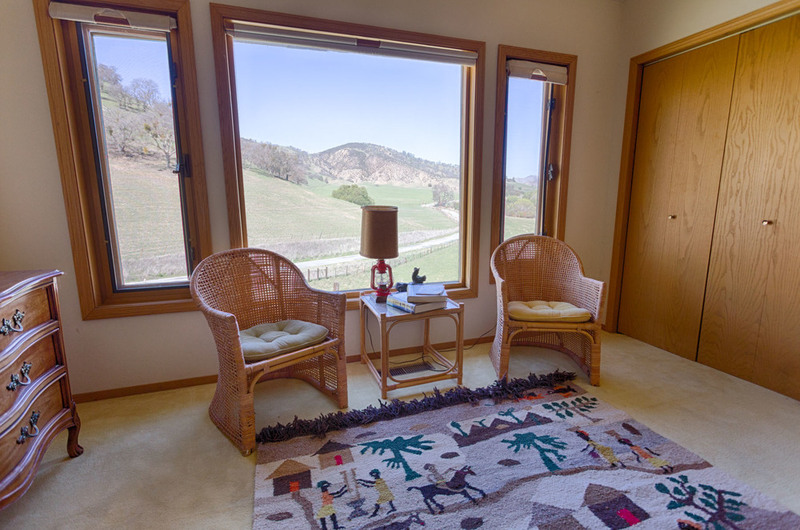 The cabin is newly renovated and we are excited to add another unit for our guests. 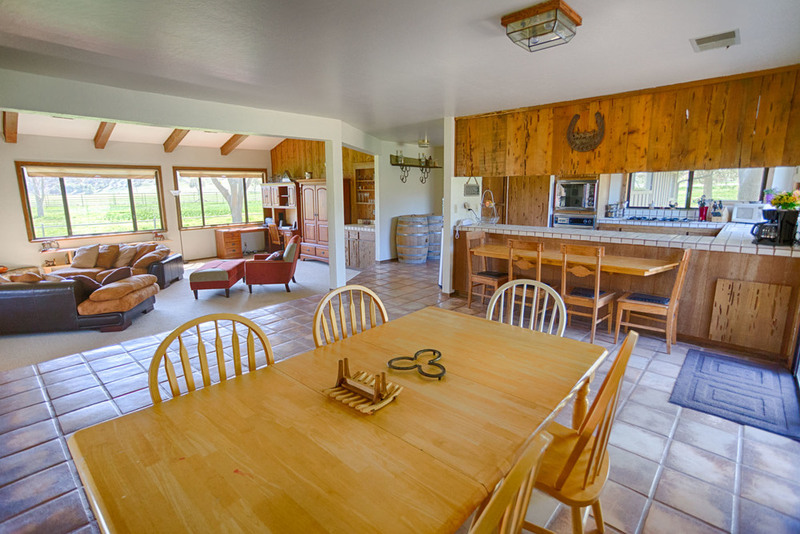 The 3bd/2ba 1,800sq/ft space is comfortable and relaxing after a day on the ranch. You are certain to leave with a weekend full of unique country experiences. The first two bedrooms each have a queen bed, the third bedroom has 6 twin beds. 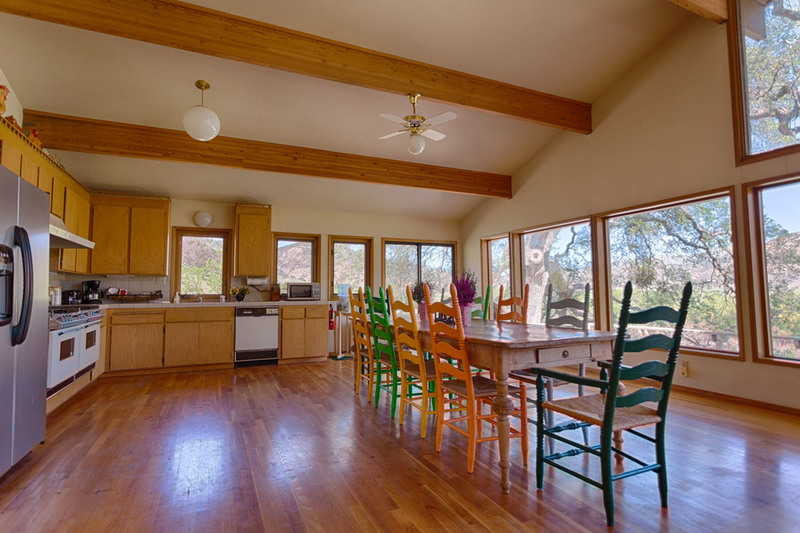 Amenities include: charcoal BBQ, air/heat, landline, indoor fireplace, standard kitchen, coffee maker. The nightly rate includes the first 6 guests, each guest thereafter is $50/night (ages 3+, maximum of 6). Price does not include horseback riding or shooting. All reservations require a two-night minimum plus a $200 cleaning fee. "Bar SZ Ranch is a hidden gem and was the highlight of our US trip." 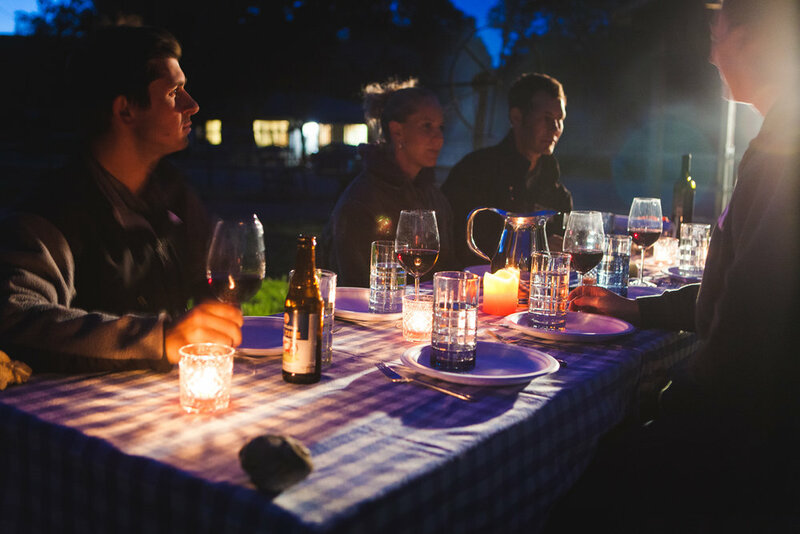 Large groups of all sizes can enjoy a vacation on our 660 acres which includes all three houses and the first 26 guests. Together the houses can sleep up to 34 people in beds with additional accommodations and a campground available. 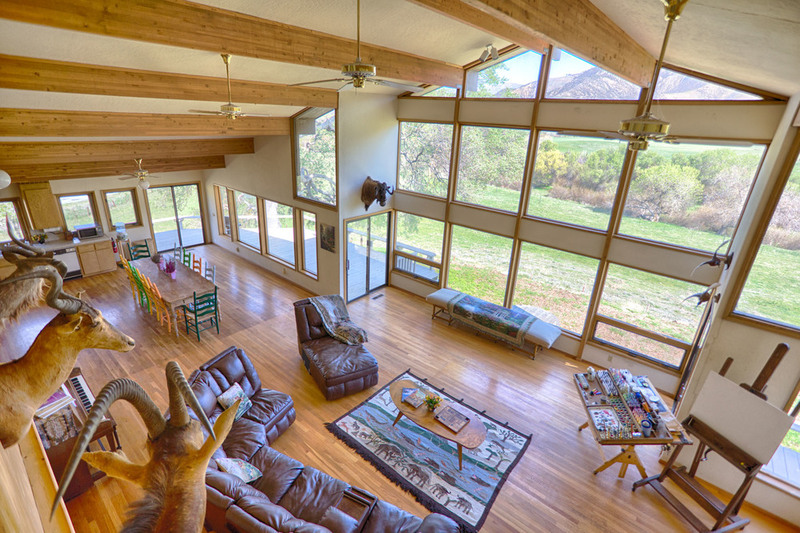 The ranch is perfect for company events, family reunions, and large groups. The nightly rate includes the first 26 guests, each guest thereafter is $50/night (ages 3+). If you need additional accommodations you may either rent Cowboy Village or book space in the campground. Price does not include horseback riding, shooting, or any type of ceremony and/or reception. All reservations require a two-night minimum plus a $700 cleaning fee. "The ranch itself is gorgeous; the common area is great; shooting was awesome; and the Bar SZ team could not have been better hosts." Our new glamping cottages come as a pair, we have John Wayne on the left and Annie Oakley on the right. There is a sitting space in the middle with farm tables, a BBQ, and a fire pit. The nightly rate includes the first 8 guests, each additional guest is $50/night (ages 3+). Together they can sleep up to 16 guests. Cowboy Village is not included with the full ranch rental but may be added at the standard rate. Showers and restrooms are located next to the barn, each bed comes with fresh linens and a bath towel. Price does not include horseback riding or shooting. All reservations require a two-night minimum. "Only a few hours from my busy life in silicone valley, but worlds away - almost a bygone era." 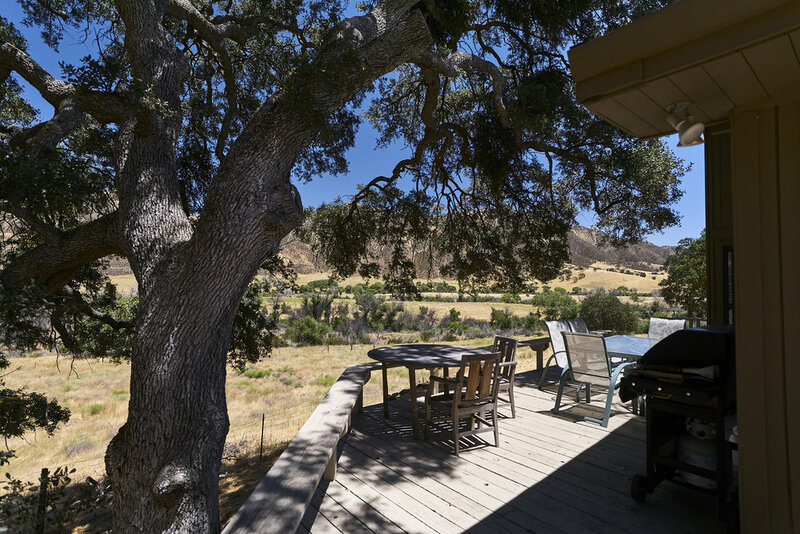 Due to a host of recent requests we are now offering an exclusive ranch getaway. Get all three houses plus both canvas cottages and sleep up to 50 guests in beds. We will block out all other reservations to ensure that your group gets a private country experience. Included in the exclusive package is a custom activity schedule, unlimited ice, the beer truck (kegs not included), oak wood for group BBQs, and a sound system. The nightly rate includes the first 50 guests, each additional guest is $50/night (ages 3+). In addition to the nightly rate you are required to purchase a minimum of 40 activities between horseback riding and shooting (not required midweek in the off-season). All reservations require a two-night minimum plus an $800 cleaning fee. Price does not include any type of ceremony, reception, or event. "Get away from your cubicle and spend a weekend here, it's the ultimate recharging experience." Weekly Structure - All standard reservations are either Friday through Sunday, with activities running all day Saturday, or Monday through Thursday, with activities running all day Tuesday and Wednesday. Wedding weekends run Thursday through Sunday, and midweek company events can vary based on availability. Holidays - Although we don't raise our prices on holidays we do require a minimum of three nights or more when booking. Cancellation Policy - Standard reservations may receive a 90% refund if cancellation occurs more than 45 days out, if within 45 days no refund will be offered. Our policy is firm. Wedding Deposits - All wedding deposits are non-refundable. Events - We do not permit any type of a ceremony, reception, or event without advanced permission. Large Groups - Exclusive reservations are required for groups of 35 guests or more. Reservations - Calendar reservations are not confirmed until paid for in full, until then anyone is welcome to book. Receiving an invitation to book via email does not provide any guarantee of availability, please submit payment as soon as possible. Sundays - The Bar SZ staff take Sunday afternoon/evenings off, no guest services are provided. Minimum Stay - A minimum of two nights is required for all reservations, some holidays require a three night rental. Midweek company events are structured differently and do not apply.